BUY ONLINE AND WE'LL DELIVER TO YOUR DOORSTEP. Buy your next car 100% online. Get instant upfront pricing on all our vehicles. Complete everything from the comfort of your home — without ever having to visit our dealership. Complimentary home delivery within 25 miles. Find the right BMW for you here at BMW of San Francisco. Enjoy the luxury, the comfort, and the thrill that only your Bay Area BMW dealership can deliver. We pride ourselves on bringing you the best car buying experience. Come visit the showroom in San Francisco’s SOMA district or browse our virtual showroom here. With our express store, you can buy or lease a car 100% online. Pick up your new car in store or select home delivery, complimentary within 25 miles. Choose from the largest selection of both new and pre-owned BMWs in the San Francisco Bay Area and surrounding areas like Daly City, Pacifica, Brisbane, Treasure Island, and all of California. 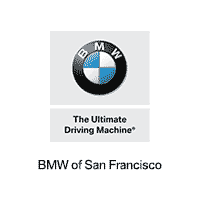 We are proud to be among the first BMW dealers in the bay area. Come in today and see what makes BMW of San Francisco so special. BMW of San Francisco was the first Northern California BMW dealer, opening its doors in 1965 on Post Street and Van Ness. Employing 100s of locals and giving back millions in charity, we take the term “local neighborhood dealer” to a new level. In the 40 years of ownership with the Schmitt family, it has always been our goal to bring that family feeling and comfort to the showroom floor. Come in today and join the family of BMW enthusiasts.